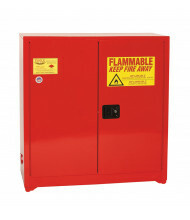 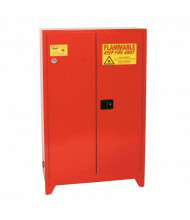 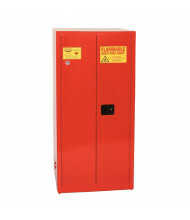 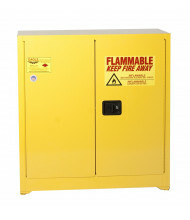 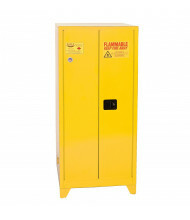 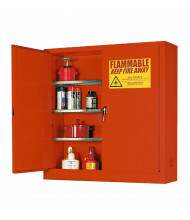 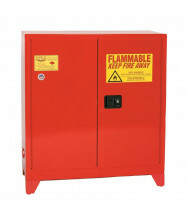 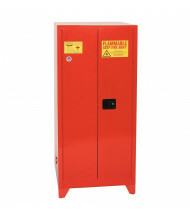 Save over 40% on combustible storage cabinets for reliable hazardous liquid storage. 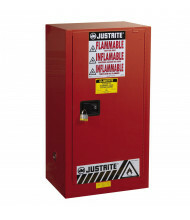 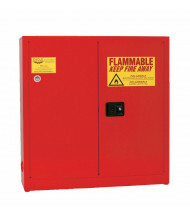 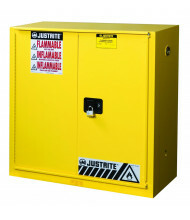 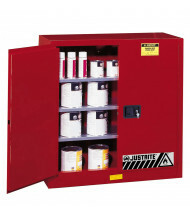 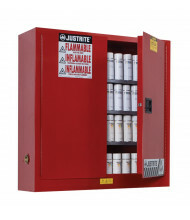 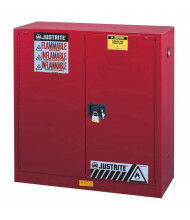 Top-selling brands Eagle and Justrite provide long-lasting safety cabinets at an affordable price. One or two door models available. 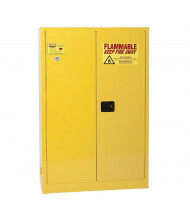 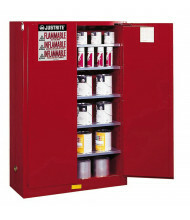 Durable steel constructed combustible safety cabinets are the solution for safe storage of potentially harmful substances like aerosols, inks, and solvents. 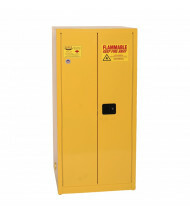 Door options include manual or self-closing with fusible links for added fire control. 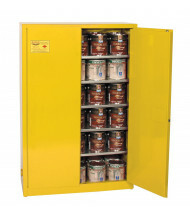 Configurations in both left and right handed opening. 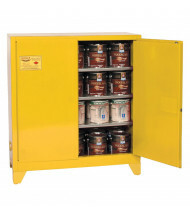 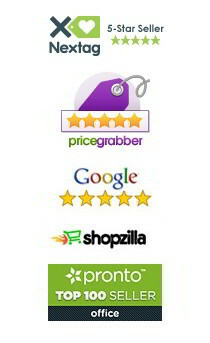 A variety of shelf options available to optimize smaller container storage or fewer shelves for those larger items.